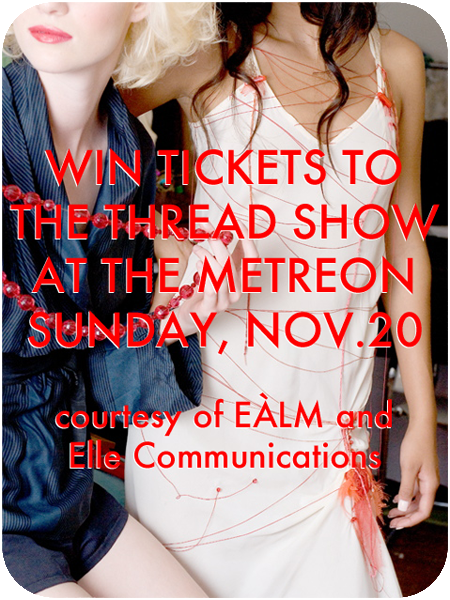 ECLECTIC À LA MODE | style blog: WIN YOUR TIX TO THE ULTIMATE PRE-BLACK FRIDAY SHOPPING EVENT! WIN YOUR TIX TO THE ULTIMATE PRE-BLACK FRIDAY SHOPPING EVENT! Shopping Center on Sunday, November 20th. 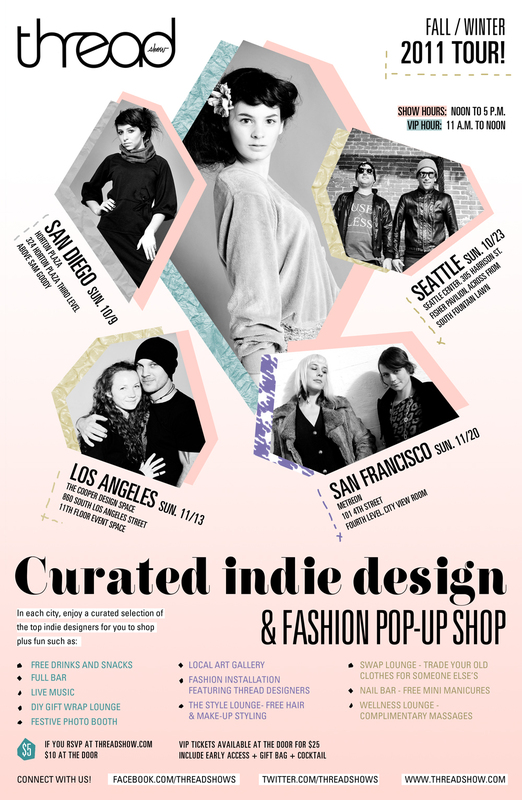 Enjoy a day of shopping the latest trends for all the lovies on your holiday lists, see the work of local SF designers, grab a cocktail and a gift bag, and get snappy with photo booths, DJs, a nail bar, and more!! You will also get to check out the THREAD Well Lounge and multiple fashion installations! For your chance to win a set of tix, "LIKE" EÀLM on Facebook and Follow EÀLM via Google and Twitter. Get your bud you'll bring with you to do the same. Once you've both clicked in some love, email EÀLM at eclecticalamode@gmail.com with your First and Last names. You will be notified on Saturday, November 19th if you have won! Cheers to your awesome day of shopping!